Wondering about how humanely to stop the boats and how best to build a regional response to the irregular movement of asylum seekers in our region, I spent last week in Malaysia discussing the 'Malaysia Solution' with the Malaysian Bar Council, UNHCR, PROHAM (the Society for the Promotion of Human Rights), various local NGOs and Church groups. I was anxious to see if there might be any prospect of reviving the Malaysia Solution, but with appropriate safeguards set down by the Houston Expert Panel, after the Malaysian Election on 5 May 2013 and before the commencement of the Australian election campaign and caretaker period presumably commencing no later than 10 August 2013. But the problem we confront here with implementing the agreement with Malaysia is of course that the Opposition has taken the view that it would prefer to be negative, and it would prefer to see more boats. If we could implement the Malaysia agreement we would do it very rapidly. We have been prevented from doing that by the negative approach taken by the Opposition. The Malaysia Solution proposed that Australia transfer 800 asylum seekers to Malaysia in return for Australia receiving 4000 refugees from Malaysia over the next four years. When this idea was first floated in 2011, I was critical of it because I could not receive any clear answers about the plight of unaccompanied minors (UAMs). If they were to be included in the group of 800 transferees, the scheme would have been ethically very problematic; if they were not included, the scheme would have been unworkable because children would have come in increased numbers on later boats. I have been generally supportive of the recommendations of the Expert Panel with the exception of their recommendations that Pacific Island facilities be reopened for offshore processing and that review of future offshore arrangements be moved from the High Court to Parliament (especially the Senate). Both sides of the Chamber would have been well advised to heed the earlier warning of Andrew Metcalfe, past Secretary of the Immigration Department, that the Pacific Solution would not work again as a deterrent. The arrival figures since the panel reported have vindicated Metcalfe's assessment. Shifting review of future arrangements, including a revised Malaysia Solution, to the Senate has meant it would be very difficult politically for the Gillard Government to succeed in putting in place any future offshore arrangements before the September election, given the 20 June cutoff date. There might have been a way through the political morass if the recommendations of the Expert Panel regarding Malaysia were achievable. If the Malaysian government is expected to consider any further efforts to the agreement we have in place, they need to know from the Opposition that there is some chance that they will support it ... You cannot expect the Malaysian Government to continue down this path if they're going to be completely and utterly rejected and criticised again in a most outrageous fashion by Tony Abbott and the Opposition. There are concerns that relate to the non-legally binding nature of the Arrangement, the scope of oversight and monitoring mechanisms, the adequacy of pre-transfer assessments, channels for appeal and access to independent legal advice, practical options for resettlement as well as issues of compliance with international law obligations and human rights standards (particularly in relation to non-refoulement, conditions in Malaysia, standards of treatment and UAMs). An effective monitoring system should be established involving 'senior officials and eminent persons from civil society in Australia and Malaysia'. From my discussions last week in Malaysia, I do not think there is any possibility that any of these three changes could be effected between 5 May and 20 June. Unless all three changes were agreed to, there would be absolutely no prospect of the arrangement winning endorsement from the Expert Panel, let alone support from the Coalition parties or the Greens. I formed a clear belief from these discussions that the Malaysian government had made a significant conceptual shift in its thinking about how it wanted to treat refugees and asylum seekers and had begun the process of improving the protections offered to such persons. It was also clear to me that the Malaysian government was enthusiastic about using the transfer of 800 persons under the proposed arrangement as a kind of 'pilot' for their new approach to the treatment of asylum seekers generally. He stated that Malaysia was 'actively considering' allowing work rights for all asylum seekers. No informed person in Malaysia with whom I met last week would attest these things two years on. The situation confronting the 102,000 persons registered with UNHCR and the more than 50,000 other persons of concern to UNHCR in Malaysia has not improved since 2011. There has been no progress on work rights. There has been no conceptual shift by the Malaysian government. 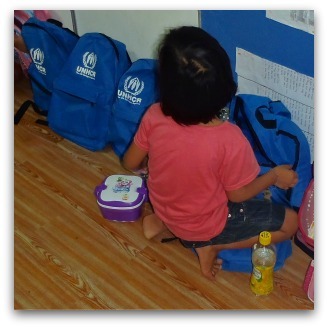 With over 4 million migrant workers, half of whom are undocumented, the present Malaysian government remains content to leave processing and protection of asylum seekers to the good, but very stretched, offices of UNHCR. I applaud all efforts by the Australian Government to engage regionally on these difficult issues seeking regional solutions to regional problems. If we are to advance the issue in Malaysia, we will need to restate our interest in addressing regional problems including the overwhelming problem confronted by Malaysia, not just seeking a regional solution to the comparatively small Australian problem. Many of the persons with whom I met last week appreciated the opportunity afforded two years ago for constructive discussions with the Malaysian government and across sectors in Malaysia. Many NGO members thought that there was in 2011, for the first time, a useful international spotlight on Malaysia's approach to asylum issues, together with constructive inter-departmental and inter-ministerial dialogue. For the moment, Bowen has achieved all that is possible in setting down guaranteed protections within Malaysia. Second time round, O'Connor is most unlikely to achieve any better within a six week timeframe. He is armed with the recommendations of the Houston Expert Panel but these will count for little with Malaysian decision makers bruised by the adverse Australian publicity they received first time round, knowing that this time they must run the gauntlet of the Australian Senate before the end of June. While acknowledging the overwhelming problems confronting asylum seekers in Malaysia, many Malaysians rightly attest that Malaysia, with its loose borders and loose systems, is a preferred destination for many asylum seekers who find natural community among their own there. If Malaysia were to assume responsibility for registering asylum seekers who were then given the right to work, real progress could be made. Some Malaysian experts, aware that Australia is presently receiving 1–2000 boat people per month, seriously doubt that 800 transferees would provide the necessary circuit breaker as proposed two years ago when the number arriving on our shores was far less. There was a suggestion that the increase, in part, may be explained by the apprehension that Australian policy will change significantly after our September election. A revised Malaysia Solution consistent with the recommendations of the Expert Panel is an impossibility before the Australian election, regardless of the views expressed by our Opposition and minor parties. It's dead in the water. There can be no movement in Malaysia until after both elections. It is time for each side of politics to stop blaming each other for the increasing wave of boats and for the Gillard Government to cease invoking the unreal prospect of a revised Malaysia Solution before the election. Fr Frank Brennan SJ is professor of law, director of strategic research projects (social justice and ethics), Australian Catholic University, adjunct professor at the College of Law and the National Centre for Indigenous Studies, Australian National University. Fr Brennan travelled to Malaysia with Mark Fowler, a lawyer from CLEAR Australia, a group of Christian lawyers committed to legal education, advocacy and research. Pictured: A Burmese child at a church learning centre for asylum seekers in Kuala Lumpur visited by Fr Brennan last week. How can we push Malaysia to extend the right to work to asylum seekers when Australia denies this right? how can we demand human rights conditions and real protection of Malaysia when Rich and stable Australia places asylum seekers in leaking tents with damp bedding on stretchers on ground where they slosh around in ankle deep water or bake in tents in 40/50 degree. heat. I could go on... 86% of Submissions to the EXPERT PANEL recommended measures other than the "solution" proposed. We are at an impasse where both sides are content to blame each other and de humanise those seeking our protection. God Help Australia perhaps He is rightly ignoring us as we sink into a moral morass. Regional is code for anywhere but here and that is the truth of the matter. Both major parties like to invoke the refugee convention but neither have read it or absorbed what it means and our worthless lazy media don't get it either. They rush off to interview a couple of people in Sri Lanka, obsess about those being jailed at our expense in Indonesia and keep people in jail for years after they are accepted so they don't disturb their control over non-existent quotas. As for the so=called experts, they have no expertise at all and were asked to find ways to help us around the law. As for blaming each other, they never seem to think it might have something to do with the governments or lack of in the places people have fled so we refoule people to Sri Lanka based on the word of a named war criminal who is their ambassador here. Thank you, Fr Brennan, for that informed, compassionate and rational insight into the issue. I do hope, probably in vain, that both sides of Federal Parliament read and take note of Fr. Frank's advice. Of particular interest is the following paragraph because it gives us necessary background on the Malaysian perspective: With over 4 million migrant workers, half of whom are undocumented, the present Malaysian government remains content to leave processing and protection of asylum seekers to the good, but very stretched, offices of UNHCR. While the situation in Indonesia is different, there are parallels. I do hope Fr Frank and Mark Fowler can visit Indonesia for similar discussions before the post-September Coalition Government sours our relationship with Indonesia by attempting to implement their 'turn back the boats' policy. Thank you for this legal, humane comment on a tragic matter - tragic for the women, children and men seeking refuge, tragic for the irredeemable shame of Australia. For many months I drove my wife to Maribyrnong and on one occasion she was informed, by an employee of the private company running that disgraceful detention centre, that she was only allowed to bring in five pieces of fruit for the internees she was visiting and caring for. When she asked if that meant five grapes she was told not to be funny. Unfortunately, it wasn't a laughing matter. You will have lots more to complain about when Scott Morrison is making the decisions from 15 September. Angela that is unhelpful in the extreme - Morrison and Abbott are constrained by the same laws as the rotten Gillard mob. Valuable feedback from direct discussion in Malaysia. I agree in particular that Australia needs to 'restate our interest in addressing regional problems including the overwhelming problem confronted by Malaysia, not just seeking a regional solution to the comparatively small Australian problem. On 3 June 2013, Minister O'Connor wrote to me saying, "The Government will continue to engage with Malaysia on full implementation of the Arrangement before seeking to designate Malaysia as a regional processing country." Today is the last day that such a designation could be put before the Australian Parliament for consideration within the statutory period before the federal election. The Malaysia Solution has now received its last rites. Today on ABC Insiders Minister Brendan O’Connor is still banging on about the Malaysia Solution even when he knows that last Thursday was the last day he could bring into Parliament any proposal for authorisation before the federal election. But the Government had no revised proposal ready. The Government has just not done the homework with the Malaysians to improve on the original proposal so that it might comply with the requirements set by the Houston Expert Panel. The Government have nothing on Malaysia that they could credibly present to the Parliament at this time. They have done none of the hard yards. And yet this is what the Minister told Insiders: “And I again say to you - even if there's any doubt in the minds of the Opposition in relation to the Malaysian arrangement why would they not support it going ahead? Instead they put forward this absurd proposition that they're going to turn back boats filled with families on the high seas, endangering the lives of those people, endangering the lives of our personnel, instead of taking a safe, fly back transfer to Malaysia which will deter people getting on vessels.” “Now the reason I would put to you that the Opposition refuse to actually support Malaysia is not because they think it won’t work, it’s because they’re afraid that it will. And that to me is an unconscionable position for the Opposition.” It’s time for the Government and the Opposition to get serious about considering “a safe, fly back transfer to [INDONESIA] which will deter people getting on vessels”. Until we get an appropriate arrangement in place with Indonesia, there is no point in talking about Malaysia or any other variant on the so-called regional solution. It seems to me that the Malaysian Solution is the only practical way to resolve this horrible mess. What are the prospects of successfully pursuing this in the 2016 environment? The Church is unique among the institutions under scrutiny from the Royal Commission. The trust laypeople hold in priests and other vowed religious is not the same trust held in teachers, doctors and coaches. It is sourced from the stories that feed their faith. This is the context in which the betrayal must be understood. Pope Francis' Holy Thursday expedition to the juvenile justice centre to wash the feet of young people, male and female, Christian and Muslim, breached liturgical rules. But he was right to do so. Church and state laws are securely grounded only when there is a shared sense of the importance of human flourishing.